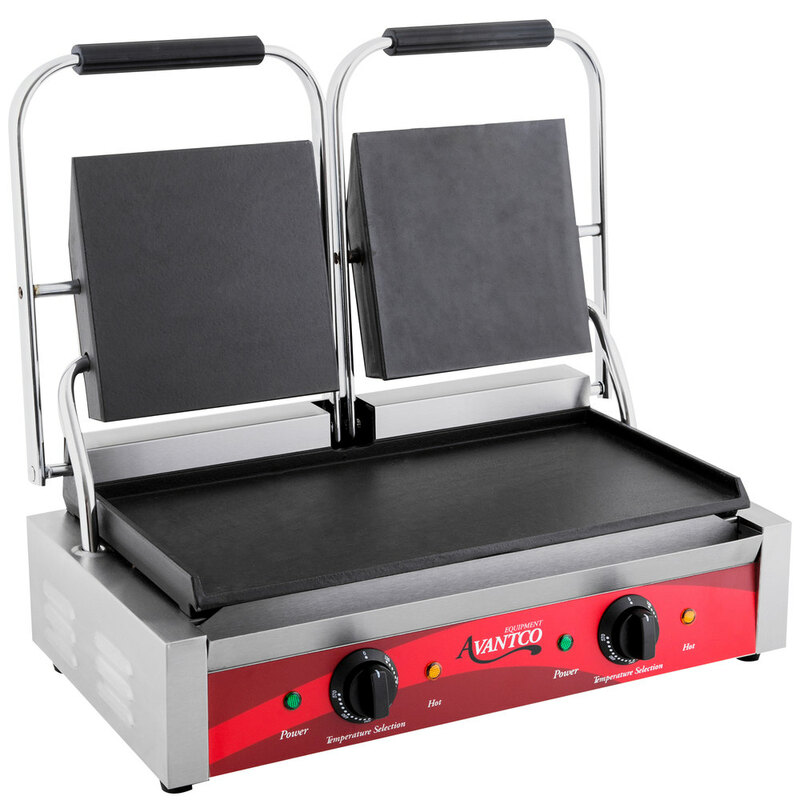 Ideal for use in delis, sandwich shops, and concession stands, the Avantco P85S double smooth panini sandwich grill cooks both sides of your delicious sandwiches at a time so you don't have to flip them! 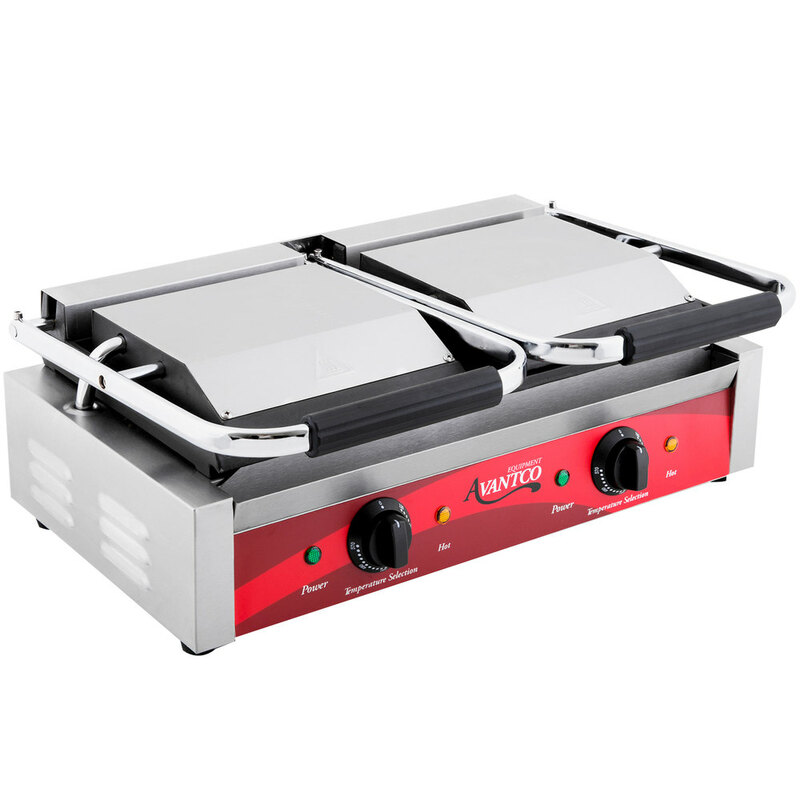 This grill features grill plates on the top and bottom so you can double the output of your business and keep up with busy hours. 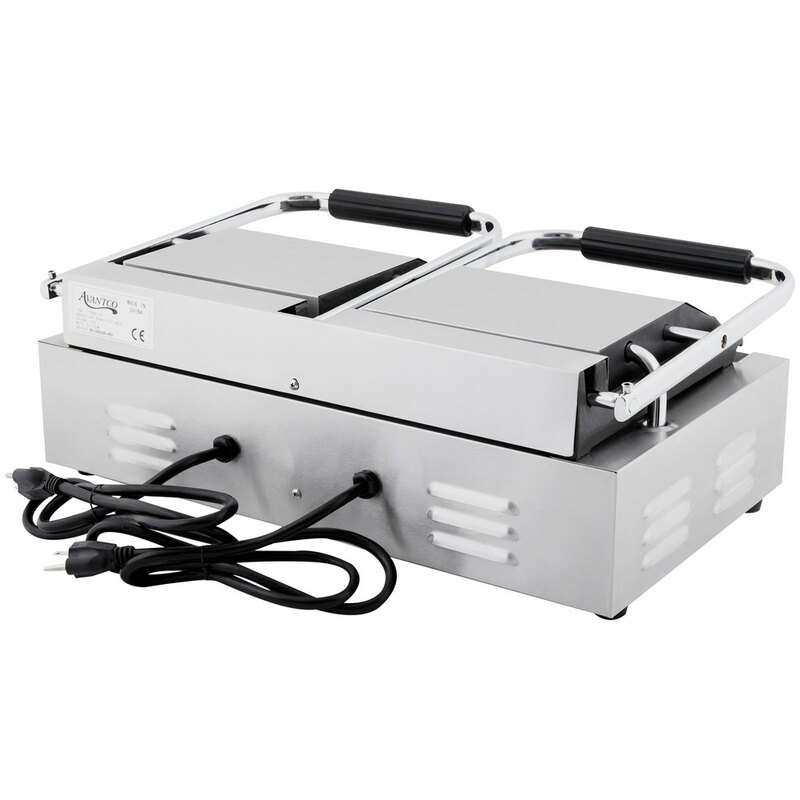 It is designed with 3500 watts of power for superior heating and toasting. 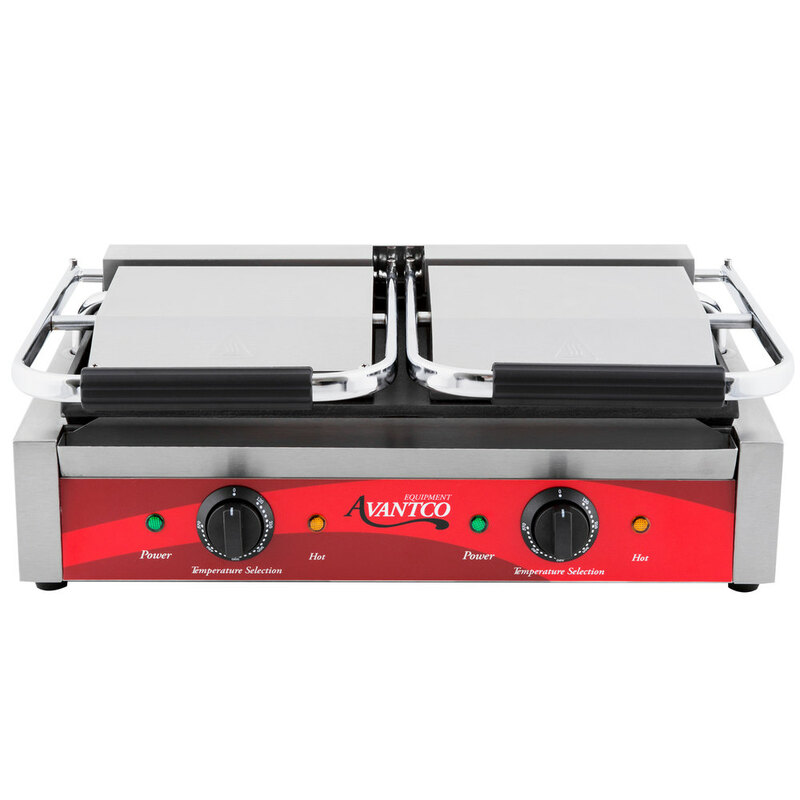 Easy to use temperature controls let you adjust temperature from 120 to 570 degrees Fahrenheit, and the grill's all stainless steel structure and cast iron plates provide outstanding durability. 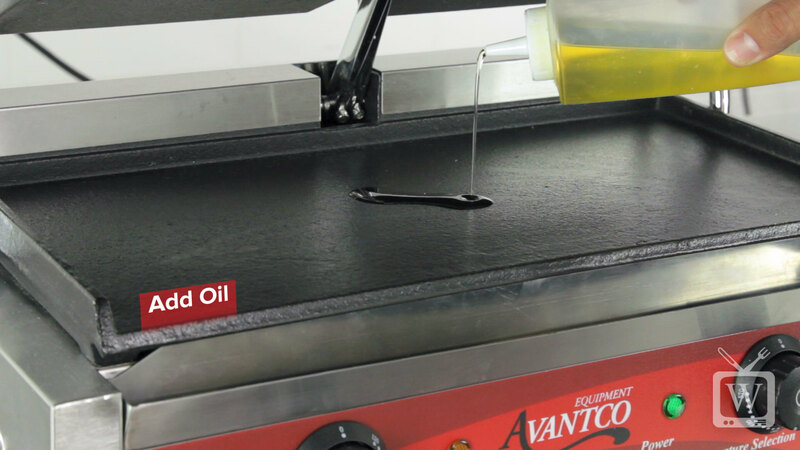 An oil tray is also included for fast and easy cleaning. This unit is supplied with 2 plugs and must be operated using 2 separate 120V circuits. 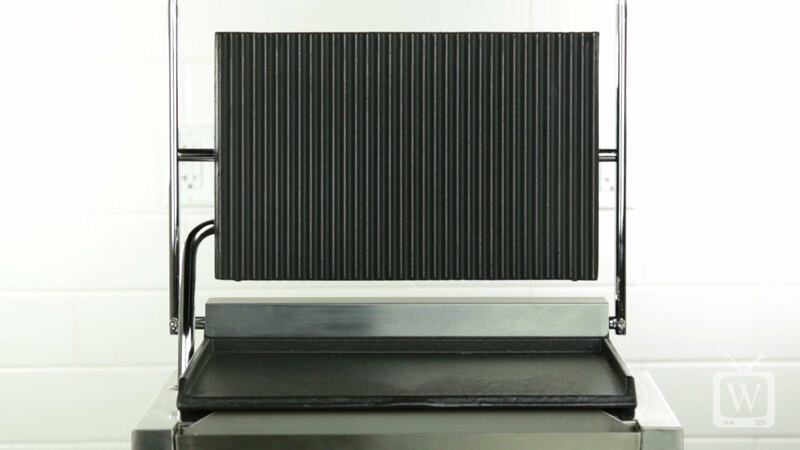 Left to Right: 22 7/16"
Upper Plate (each): 8 1/2" x 8 1/2"
Lower Plate: 18 3/16" x 9 1/16"
This grill is perfect for making quick sandwiches but the only downfall is the small size as well as the awkward drip tray that doesn't seem to fit. 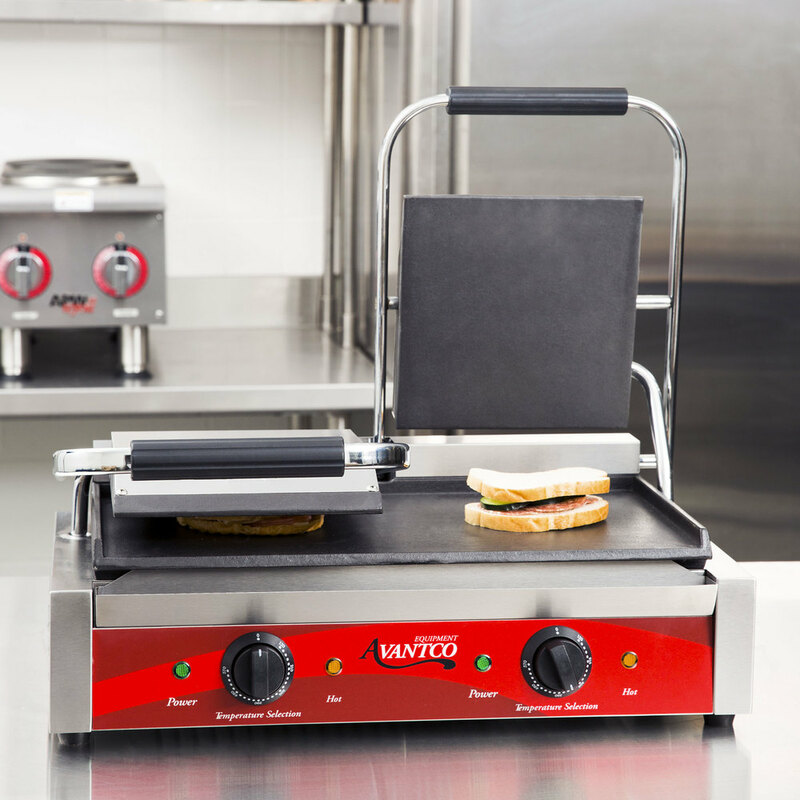 This Panini press works great since we serve wraps and sandwiches. Plus it cooks evenly and cleans well. It cooks fast and we have gotten a very good reception ever since we bought it. The little we have used the unit it seems to work great, both sides heat up nicely and work as they should. Clean up is a breez as well. We bought this press as our main sandwich press in a restaurant that serves melts as a menu category. We like it -- its a great value for the price and toasts the bread nicely. I like that the tops are heavy enough to stay down when you press them. Great deal, if you prefer to save some money. Basically using this one for wraps and panini. Easy to use and clean. Definitely worth buying. It's been over a year now and this press has made several thousand sandwiches and is still going strong. Cleaning the grooves is not easy, but we scrub it with a wire brush it every night and the carbon build-up never gets too bad. I must admit, at first this grill work as describe, however two month into operation I had to get rid of it. The surface was peeling with metal flakes. This was the main equipment for my restaurant and we use it all day. Thankfully Webstaurantstore was very responsive and refunded my purchase. I used the credits to purchase a cast iron grill. I would recommend this product for very light use not commercial use.